Security system dealers can benefit from having their own access control test door both for demonstrations and training. Inside, we explain the advantages of using a 'test door', how it was purchased, and include a list of reports that feature the test door. During access testing, using standard sized components like readers, locks, hinges, strikes, and door switches is an important criteria to test for fit and function. 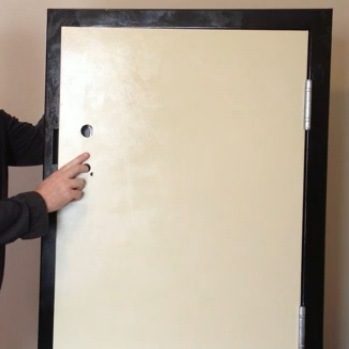 Despite the door leaf itself being smaller than typical, door prep for locks, hinges, and other devices is the same full scale size as a typical hollow metal steel door. We purchased our door from a Curries Door dealer, a division of Assa Abloy. Despite being small and table-top sized, the door was a stock part number. Price including freight to us was ~$300 USD for a grey primer covered door and stands. The cost of hinges, locks, and topcoat paint was not included in that price. Feedback is that most commercial steel door manufacturers have a selection of their own 'demo doors' for dealer showrooms or tradeshow booths, so the order needed no explanation nor required special pricing. IPVM members provided feedback on what they wanted in a test door. Suggestions were clear: do not base test findings on 'approximate' doors with non-standard dimensions and construction, but rather seek out a 'cut down' real door that mounts in a real frame, with standard cutouts, hardware preparations, and real alignments. Real World Specifications: A cut down door grants the ability to test EAC components constrained by realistic dimensions. Common Type: A hollow core steel door is the same type used throughout modern buildings. Rough Dimensions: Our test door measures 2'x3'x1.75"; this standard thickness is key in hardware interface with frames. Rigid: Unlike a wood door, our steel door is ideal for mounting a range of EAC components according to manufacturer's specifications without damaging the mounting surfaces. Hollow Core, But Not Hollow: Like every steel door, our hollow core door is made up of sheets of steel welded together, but the middle contains stiffeners and insulation. This can complicate running cables inside the door. 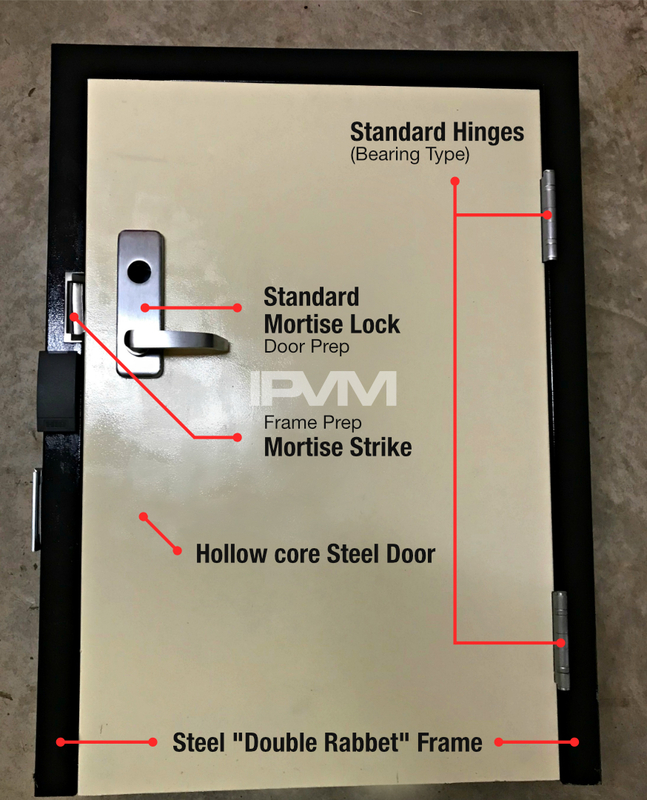 Mortise Door Prep: Our door is fabricated to accept standard mortise locksets. This allows us to test 'standalone' access hardware and otherwise test with hardware with the most demanding alignment specifications. 18 GA Steel: Our door is built with ~0.05" thick skin. 18 gauge steel is fairly thick compared to budget doors constructed using 24 or 26 gauge material. 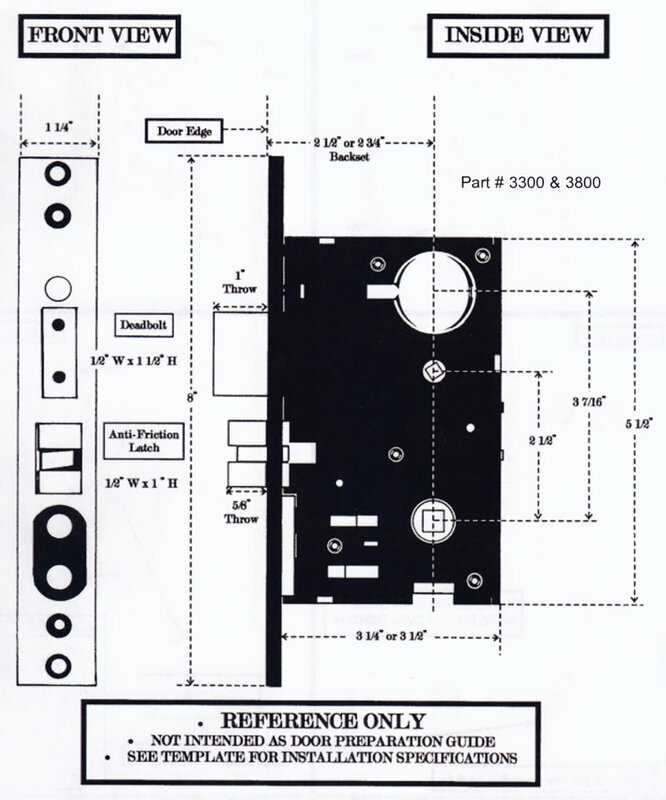 The most strict specifications call for 18 gauge thickness, and our door provides a good platform to estimate the labor required to install or mount hardware to a very secure opening. Righthand Reverse Swing: The direction a door opens - or 'swing' is a key feature when specifying hardware. 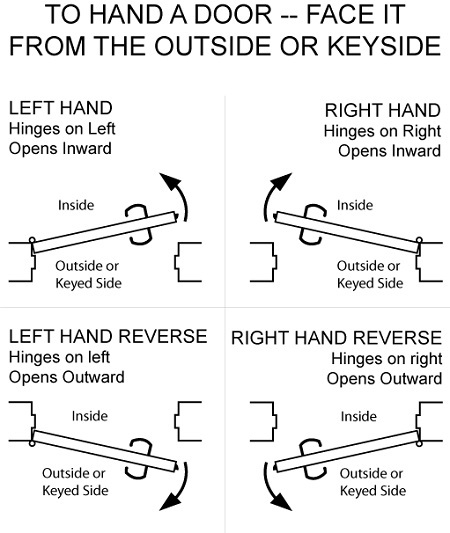 Our door has a 'right hand reverse' swing, one of the common orientations. Frame Profile: While the shape of frames vary in the field, typically based on the style of wall they are mounted into, our test door uses a "Double Rabbet" profile used in most types of stud and masonry construction. Factory Welded: There are two basic frame types: Factory welded, or Knockdown. Knockdown frames come to job sites in three or more pieces and are mechanically assembled into openings. Our 'Factory Welded' frame is fabricated at the factory and shipped to the job in one piece, and usually is installed before or during the time the wall is built. Strike Box/Hinge Mortar Shields: Our door is built with these feature, added to protect components hung on the door from seeping mortar. These features can simplify or complicate cabling access components. The video below captures details of a seldom covered element: the steel door frame. The door itself is the focus in those guides, but the test door remains a valuable piece in other component and access hardware testing as well. Comments (16) : PRO Members only. Login. or Join.